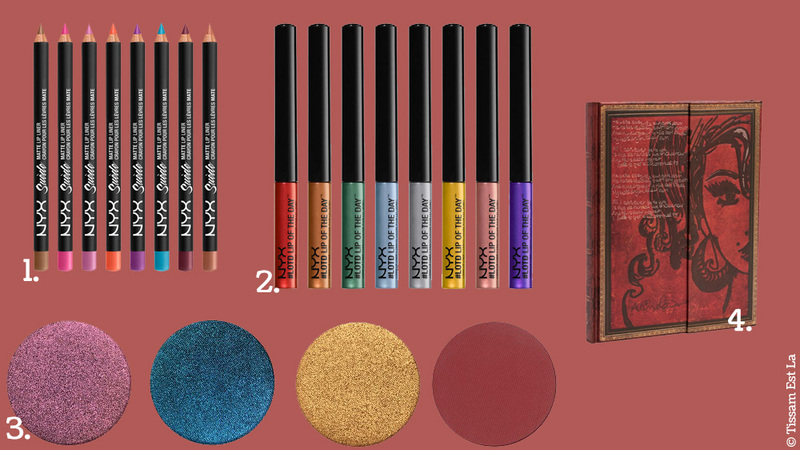 I feel it's almost too much publishing a wishlist this month since I have enough makeup for at least two lives but the Internet only makes me discover and want more things... 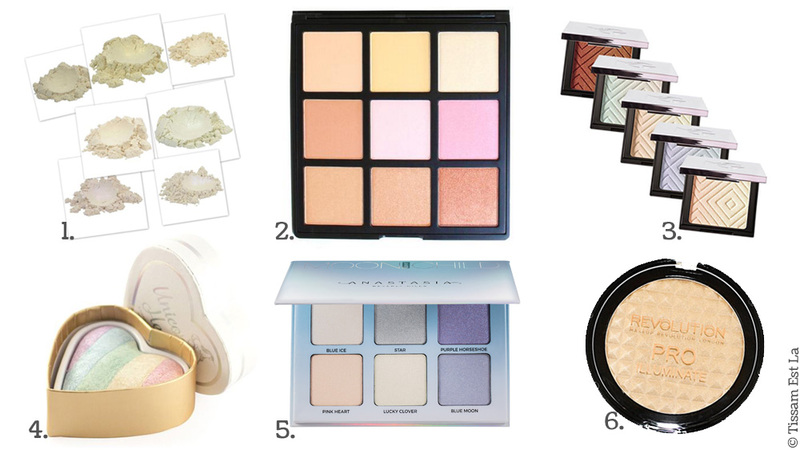 This month my wishlist was made in a new way with the links to the websites where you can finds the products and objects - do you like it this way ? Do you know some of the things I'd like to buy ? 2. Country Palette - Nashville Nudes, Too Faced. 3. Holochrome Palette, Models Own. 4. CoverShot - Smoky Palette, Smashbox & Shay Mitchell. 6. Golden Bar, I Heart Makeup. 2. Deysi Danger Palette, Morphe Brushes. 3. Duochrome Highlighters, Makeup Geek. 6. Pro Illuminate, Makeup Revolution. 4. Tears Dry on their Own Notebook, Amy Winehouse & Paperblanks. 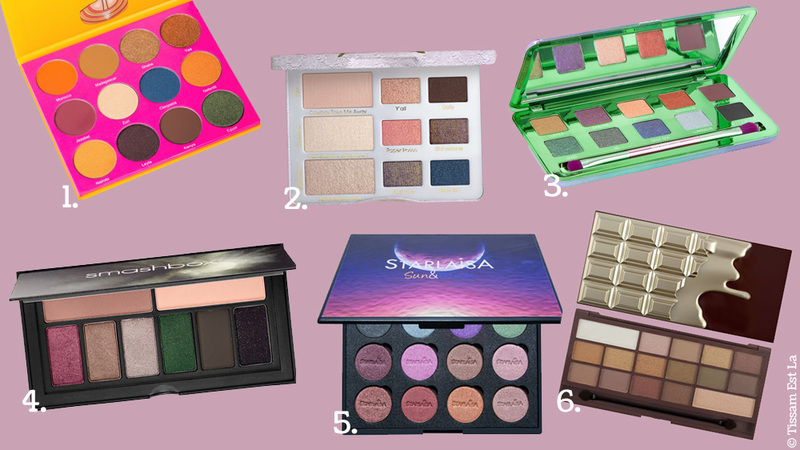 Je me suis fait tellement plaisir qu'il me paraît presque déplacé de faire une wishlist ce mois-ci mais même si je suis parée pour au moins deux vies en matière de maquillage, traîner sur Internet ne fait qu'ajouter à mes découvertes et à mes envies... C'est une nouvelle forme de wishlist que je vous propose, avec les liens des sites où vous pouvez retrouver les produits qui feront peut-être partie de votre prochaine wishlist... Qu'en pensez-vous ? Connaissez-vous certains des cosmétiques et objets qui me donnent envie ? 1. Nubian 2, Juvia's Place. 4. Unicorn's Heart, I Heart Makeup. 5. Moonchild Palette, Anastasia Beverly Hills. 1. Suede Matte Lipliner en teinte Copenhagen, NYX. 2. #LOTD, Lip of the day, NYX. 3. Fards Juno Moon, Under Pressure, Cleo, Fahrenheit, Nabla Cosmetics. 4. Carnet Tears Dry on their Own, Amy Winehouse & Paperblanks.